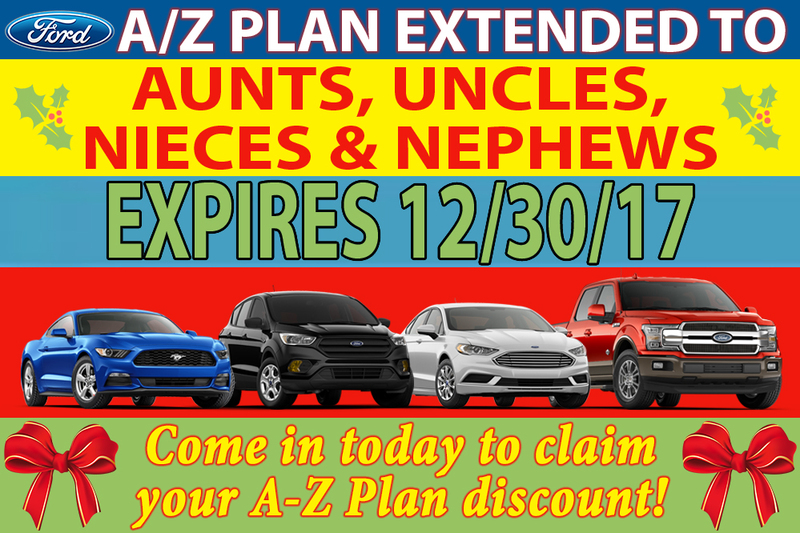 The Ford A-Plan discount is the discount employees of Ford Motor Company get for themselves, we have extended that discount to aunts, uncles, nieces and nephews of Ford employees for a limited time only. 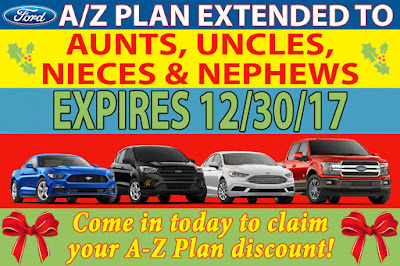 That’s right, you can get A-Plan discount simply by having a family member that works for Ford! This won’t last long, as a matter of fact it’s only good until December 30th, 2017, so make sure to get in and capitalize on this great discount when buying a new Ford Escape, Edge, F-150, Fusion or any other new Ford model. This awesome discount will save you big bucks on leases and purchases.